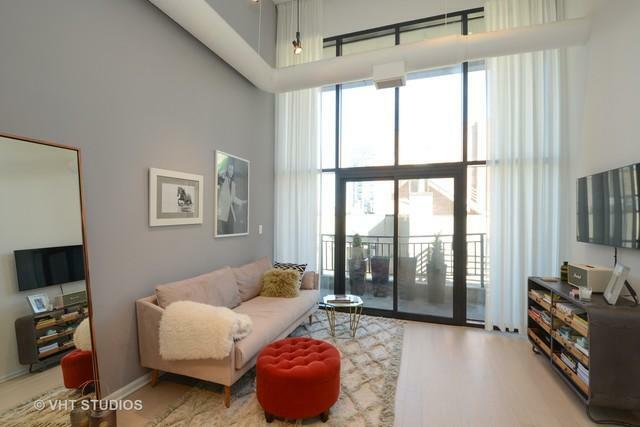 Stunning, contemporary renovation in the heart of River North. 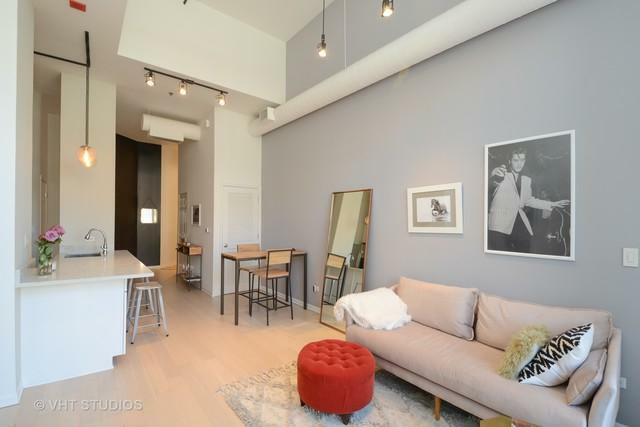 Just completed, this beautifully renovated 1 bed/ 1 bath features 15' ceilings, oak wood floors, white kitchen cabinets with gray and white quartz counters, stainless steel appliances and balcony off living room. Master bed has a huge organized, walk-in closet. Bath opens to both master bed and hallway with a gray and white Italian ceramic tile throughout, white quartz counters and sleek black bathroom fixtures. In-unit washer/dryer. 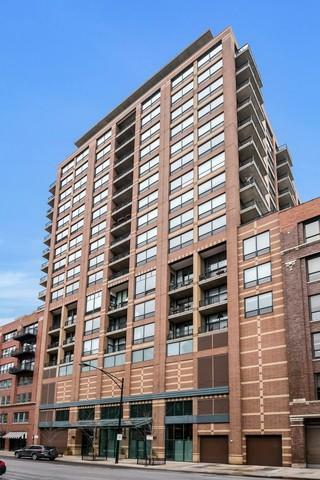 One heated garage spot included.Building offers 24hr doorman, fitness room, and on-site management. Pets welcome! Investor-friendly.